Thanksgiving morning we traveled two hours to southeastern Indiana. We went to the home of Chucks' cousin, Cathie. They have a wonderful place in the country. This is the view from their driveway. After a great meal the men and some of the kids headed across the road to shoot guns at Uncle Frank's. Megan shot her first 22. 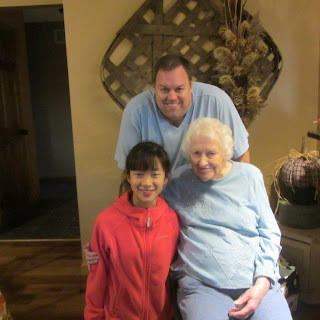 Chuck and Megan with Chucks' 89 year old grandma. 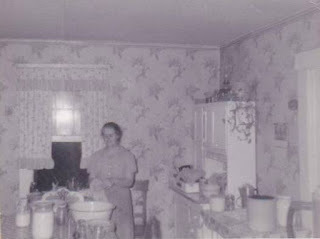 When I think of a meek and gentle spirit Grandma comes to mind. She is quiet and when she speaks it's always kind and encouraging. Our old, heavy, duct taped vacuum was replaced. Megan likes our lighter model which makes me happy that she wants to help with the vacuuming. Saturday was spent working on our remodel. The ceiling was painted and the floor trim installed. I need to sand and paint the floor, door and window trim this week. 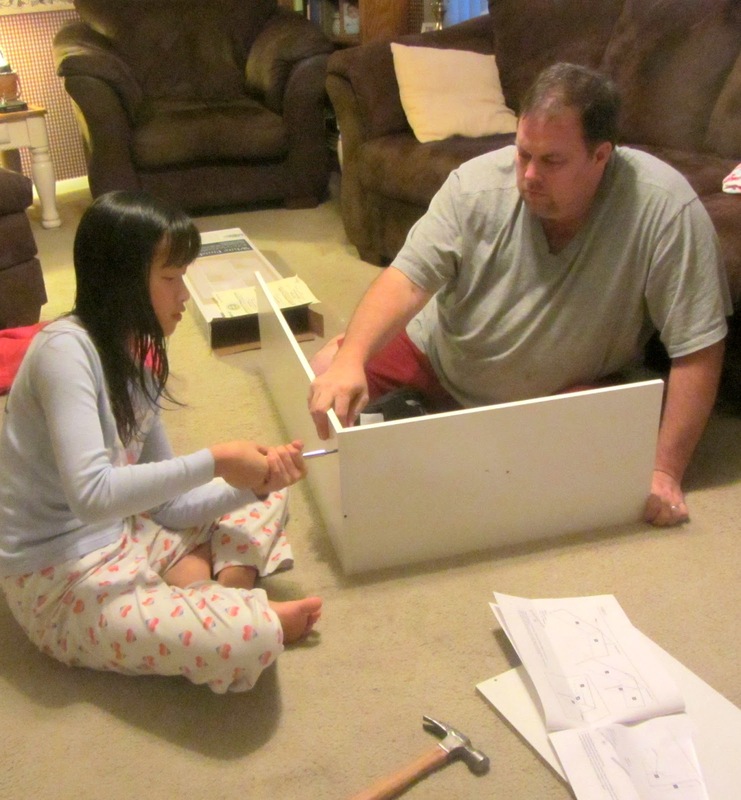 Last night Chuck was able to move two of the three cabinets back. I'm excited for the major things to be completed. Then I will take my time putting things back together. It's going to be a great purge when that happens. There have been a few warm days. Saturday we had a couple of windows open in the house and then yesterday the kitchen window thermometer said it was 70*. We are soaking up the warmer afternoons. It makes me smile when the leaves are gone and I can see how many friends we have nesting in the trees. Looks like the squirrels have make a nice community in this tree. After taking the picture for our Christmas card Megan took some pictures of her "friends." Miss Bunny and Dinosaur are her favorites. These are the lucky few that spend most of their time on her bed. I'm cherishing the simple moments of childhood as I know they are fleeting. I'll be spending the beginning of the week schooling, cleaning, and whipping up some delicious dishes. I love the picture above. It's Chucks' great-grandmother, Dora. Wouldn't you love to pull up a chair to peel apples for her pie and chit chat? Did you all have a good weekend? It was very nice here. I feel like I was able to accomplish a few things and am seeing light at the end of the tunnel for our big project. I felt like we were running out of good weather opportunities to get pictures for Christmas. Chuck agreed that with the coming cold weather and a busy schedule it wasn't looking good for family pictures. Off to plan B. If you've been around a while you know we generally take our own pictures. Thursday was a warmer afternoon so Megan and I headed out for a photo shoot. A windy day might not have been the best day to use a brown paper back drop! It made for some silly out-takes and many laughs. I did manage to get a couple of good shots. I won't reveal the shot I used until the cards have gone out in the mail. Chuck was off on Friday. We took advantage of the day to drop Megan off at my parents and head out together. We went out for lunch and then did some shopping. I don't know if you've ever had drywall work done, but let me tell you it's a dusty process. Even with the door to the room taped off the dust escaped to every nook and cranny in the house. While Chuck and Megan were out helping someone Saturday afternoon I started cleaning. The first room was the living room. A light dust wouldn't cut it so I deep cleaned the space. Everything was taken down and washed. Furniture was moved and every space was vacuumed or wiped down with a damp cloth. All I need to do is clean the carpet. I'm saving that project for when all the rooms have been cleaned and will only bring the carpet cleaner out once. All of the Fall decor was out during the dust storm. It need to be cleaned also so I decided to go ahead and put it away. I couldn't see pulling it down and the putting it back up. One less thing I will have to do the Friday after Thanksgiving. When we came home Sunday afternoon the drywall was primed and one coat of paint was applied. The plan is put the second coat on tomorrow. Time permitting I will spend the rest of week painting shelves. Chuck said the ceiling and hopefully trim will be done next weekend. I'm seeing the finish line and it makes me sooooo happy! A freezer is a great tool. Not only for freezing uncooked meat, vegetables and prepackaged food, but for your own convenience foods. 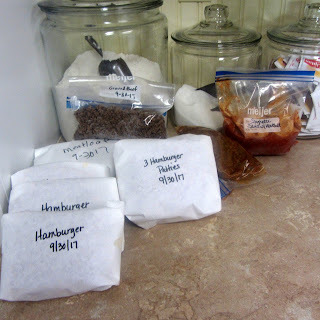 I have been working on stocking my freezer and keeping it stocked as I use things. When making a pot pie for diner I made an extra for the freezer. 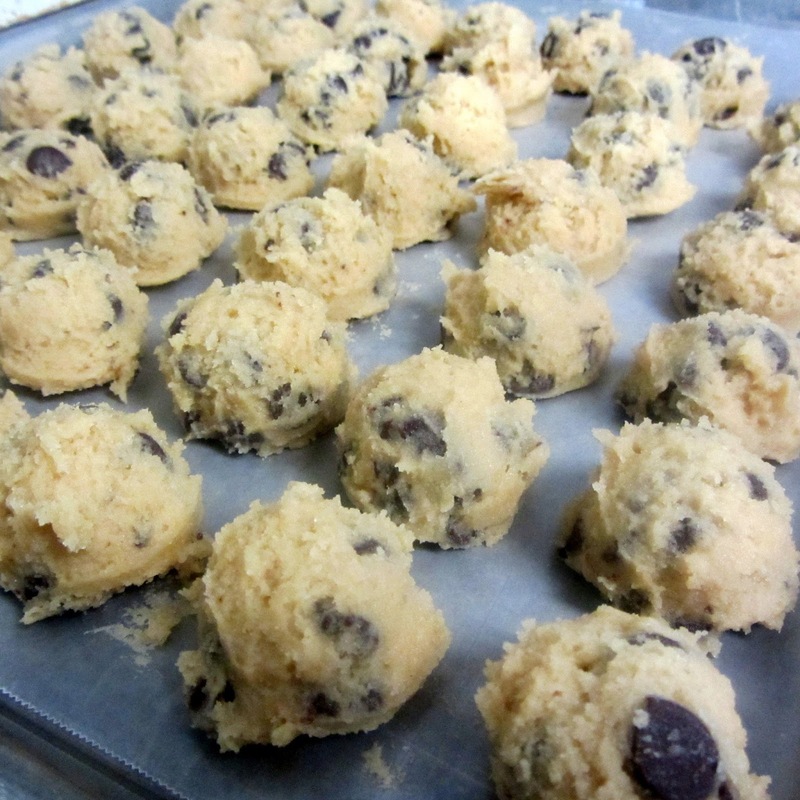 When filling the cookie jar I made a double batch. I bake what I need for today and then scoop the rest onto a cookie sheet. 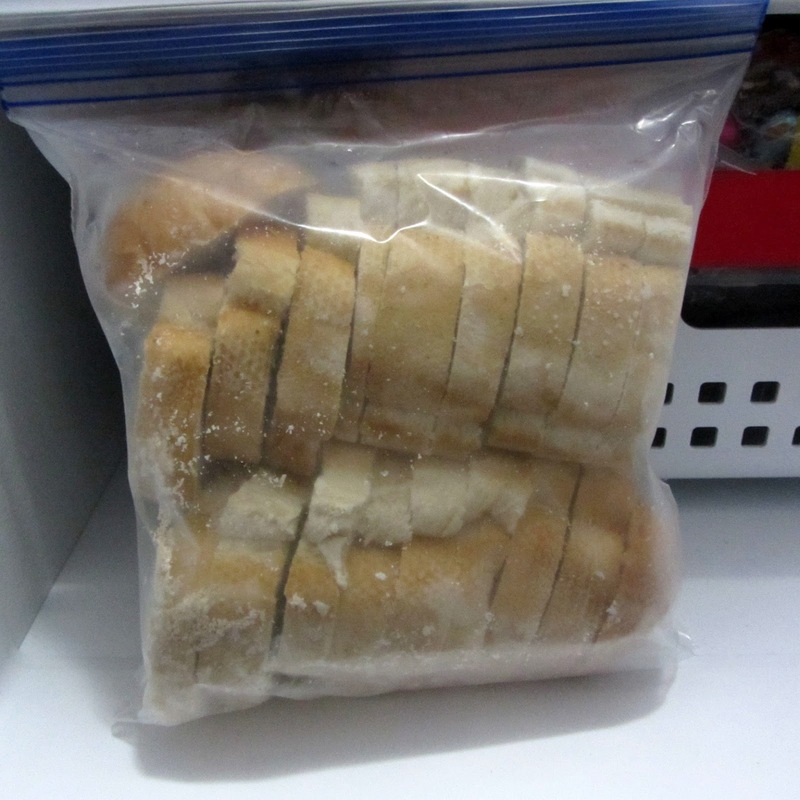 I place it into the freezer to flash freezer and then drop them into a freezer bag for later. I purchase most of my meat from Sam's Club or the clearance rack at Kroger. When I buy the large package of ground beef from Sam's I put it to use. After this particular run I made a package of patted hamburgers for the grill and mixed up a meatloaf. Once formed I wrapped it in freezer paper. I find that I don't like the texture of ground beef after I thaw it. It's fine for browning but I don't like it if I have to mix it uncooked. Personal issue! I browned some of it to freeze to use to top pizza, make a quick meat sauce or to quickly start a chili. Some was made into taco meat and divided into two meals. I also made meatballs while mixing the meatloaf. I baked them and made a spaghetti sauce to freeze. 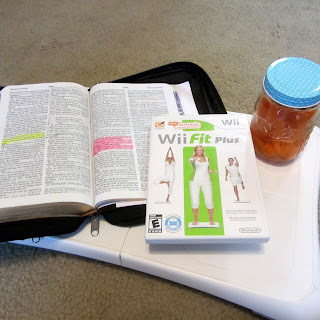 When I am having a busy day I can open the bag of spaghetti sauce or taco meat and place into my small crock pot. I place it in frozen and let it simmer on low while I am away or occupied. This is really helping me since starting to homeschool. My former routine was to meal prep for the day in the morning. There are time now when there isn't time. This is helping tremendously! I then wrapped the remaining meat to thaw and use for whatever. To stretch my meat I never freeze an entire pound. Usually between half and three-fourths. My family never notices that I haven't used the entire pound. I do this with more then ground beef. I will cook a large pork loin for dinner. I generally make pulled pork. I will set aside what we need for dinner and then bag up dinner size portions for the freezer. This then goes into my little crock pot frozen and I add bbq sauce to make sandwiches. Chicken is something else I like to keep in the freezer. I will boil a large batch and then dice and freeze. 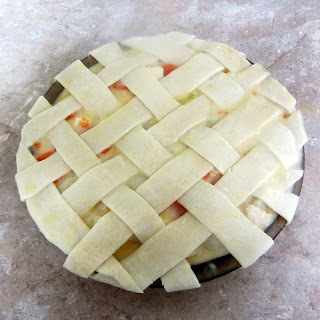 It is a head start and time saver when making casseroles and dished such as chicken and noodles. I also like to make what I refer to as lunch kits. 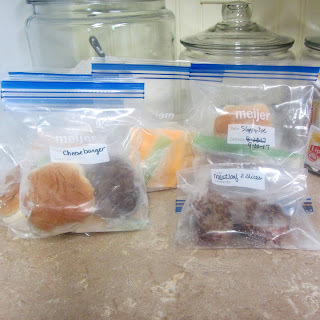 I will use leftover burgers or freshly made for this purpose and freeze the patty, bun and a slice of cheese in a freezer bag. I like to make the kits using sloppy joe also. I bag up the slopping joe and add to a larger bag with a bun. This is great when we don't have leftovers. A bag can easily be grabbed for Chuck's lunch bag. Anytime we have more then we can eat I will also bag it up for the freezer. We had meatloaf on a night when we didn't need leftovers for the lunch box the next day so it went into the freezer for later use. I don't care for garlic bread so I purchase a loaf of french bread to serve with dishes like spaghetti. I will slice the loaf when I come in from the store and place in a freezer bag. When I need a few slices I can pull out the desired number and heat them in the oven along side the garlic bread. This prevents waste and over eating. When I see the mark down bananas or have one past its prime into the freeze it goes. I like to place them in with the peel on. There are many ways to freeze, them this just happens to be my personal preference. Now when I need to make pancakes, muffins or bread I don't have wait for my ingredient to over ripen. Those are a few ways I'm making my freezer work for me. Please share the way you use your freezer to save time and money. 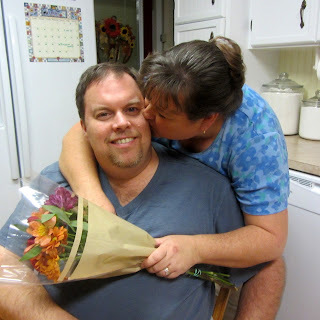 Eighteen years ago this guy and I had our first date. So happy he had the courage to ask me to dinner and a movie. Muffins and tea for breakfast. Yum. The remaining Halloween candy really needs to go. Not mentioning any names, but the lady of house has eaten her share. I was in the other room while they worked on putting a new shelf together for Megan's room. I enjoyed listening to them work on this. Megan tends to be a free spirit and likes to do things off the cuff. Chuck would ask what was next and she would spout what she thought was next. I had to laugh as he said read the directions; what do they say is next? It's good for her to learn to follow instructions and not do things her way. The struggle is real with reigning in her free spirit without crushing it! The above picture of the tree was taken last Tuesday and the same tree below on Monday. I was surprised to how many leaves had been lost in a week. Doesn't everyone roast mini marshmallows over a candle?! 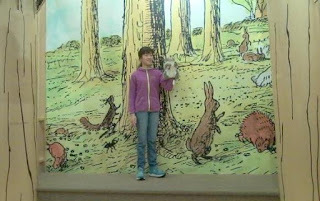 We spent a day out and about. A trip to the bookstore resulted in a puppet show. Fun. And look who we ran into at Kohls! It's that time of year when the heat is kicking on, the skies are grayer and the days are shorter. That was all before the time fell back! Daylight savings time is very hard for me. When it is pitch black by 5:30, the skies are gray for days and I can't get outside I tend to go into a funk or get what I refer to as the blues. Some years are better than others. I've already been giving myself the pep talk about how to prevent this. 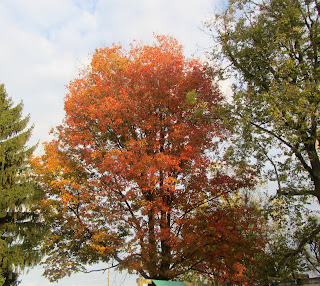 We've had quite a bit of gray, rainy days that prompted me to contemplate the coming winter. 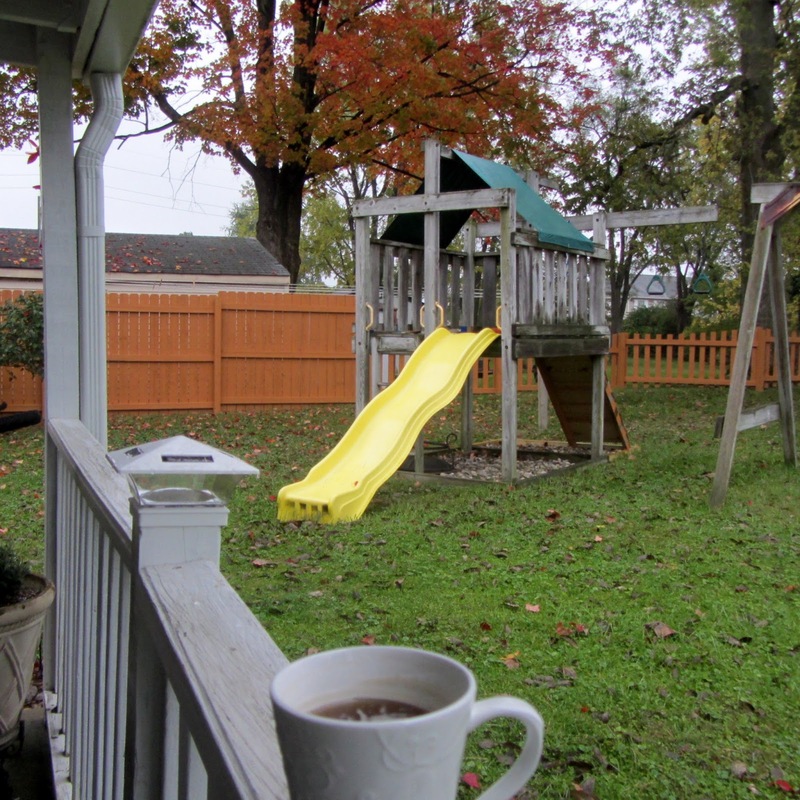 In the late afternoon, rain or shine, I've been stepping on the back porch to enjoy a cup of tea. The few minutes alone to breath in some fresh air helps. I know there will come a time when I won't be able to do that due to the cold temperatures. In the meantime I will continue to soak up as much outside time as I can. When the snow flies and it gets cold I tend to hibernate. Probably not the best thing for me. I'm going to try to go outside every day. A walk up the street, tea on the back porch and when the weather doesn't permit it I'll go out the door to breath in some fresh air for a minute or two. I will also leave home more often. A quick trip into the grocery to get out and walk around, a trip to the library or even a short drive should help. Then there is the obvious such as exercise, eating well, and spending time in the Word. I'm also making a list of things to keep me busy. 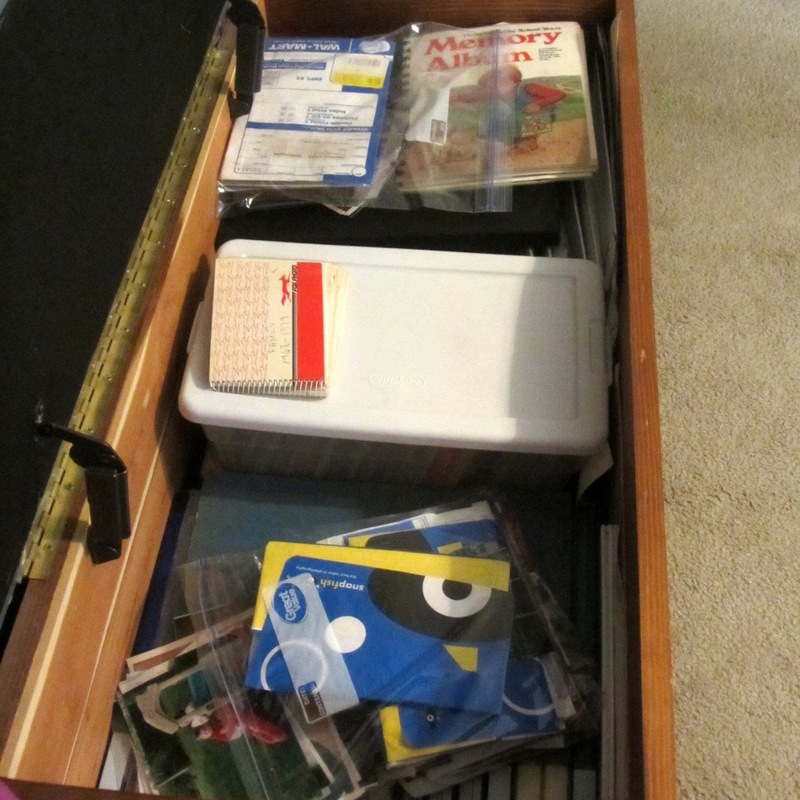 The big item on my list is to sort and organize photos. Since Chucks' parents are divorced neither one of them want the pictures from their 17 year marriage. That means that Chuck has been given all of those photos. They've been stored in the garage, under our bed and most recently in a chest. I've decided it's time to store them properly. Those months stuck inside seem like the perfect time. I'm hopeful that by being proactive, having a positive attitude and keeping busy I can prevent the winter funk. I'm also praying for sunshine. Lots and lots of sunshine. I'm a sunshine girl and even when it is cold and snowy the sun helps. Please share what you do to prevent the winter blues. May your day be filled with joy in the journey! I have been deep in thought about many things for the last six months or so. Many things in life are complicated because they are things you have no control over. I've been thinking about the things I can control and how to make them less complicated. This time of year where Christmas starts to creep into every ones mind. 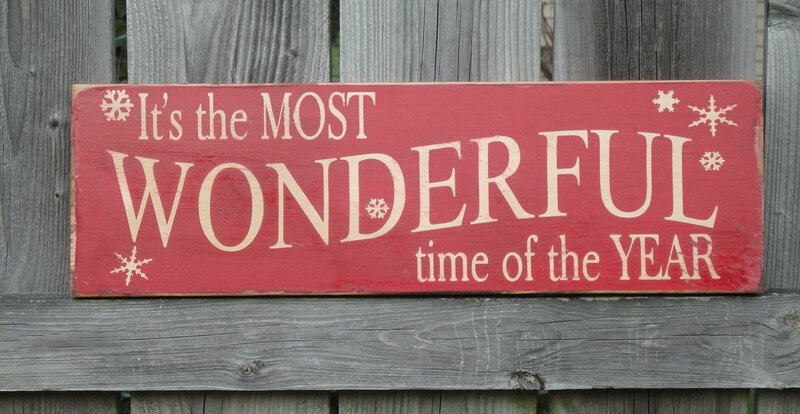 How can it not when you see countdowns on Facebook, Christmas decor and music in the stores. (I won't even go there!) It seems to be one of those seasons where things can get very complicated. I often ask myself why we have let this happen. A season that should be filled with hope is many times overshadowed by stress. I'll be the first to admit that I have over complicated the season many times. How? One is over planning. We'll say yes to more things then we should. I have been working on this for several years and pretty much have it under control. Another is trying to over achieve. I will do this in the giving of homemade treats. I have simplified this to baking cookies with our extended family for our traditional cookie day and then only making two treats in my kitchen. 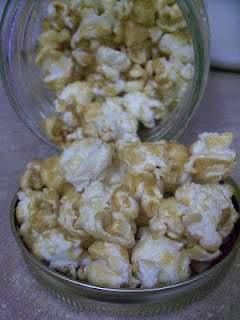 Besides cookies the favorites have become caramel corn and caramels. I only make the caramels once a year and the caramel corn usually only one other time besides Christmas. Not only has this taken away the pressure to be in the kitchen forever it has formed a lasting Christmas tradition around these three treat making days. Finally is gifts. That is another area that can get out of control and cause stress. Sure I love to give and would enjoy giving to everyone. Honestly, our budget can't support that. We generally buy a gift for the nieces and nephew on Chucks' side and they buy for Megan. I am putting a stop to that this year. Number one is that they all receive more then enough gifts from the grandparents. Number two is the cost factor. Both of hubbys step-brothers have broken marriages this year. That has put a financial burden on them. There is no reason for them to buy gifts for Megan when they could use the money for day to day expenses. Honestly, it would lessen our burden to not buy for them also. I really hope that doesn't sound unkind. As far as gifts within our household we have decided to limit it to three gifts a person and three stocking stuffer's. 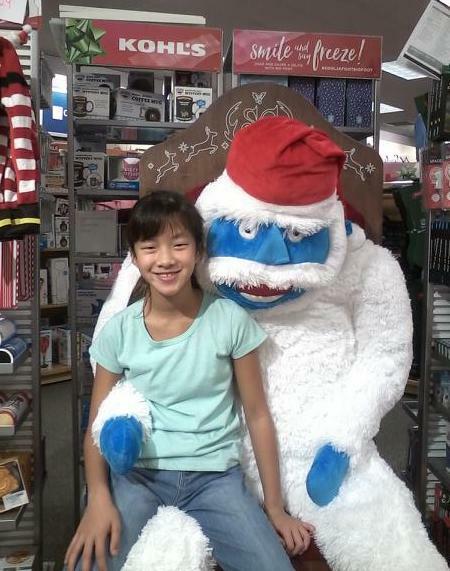 We started doing Santa many years ago and so far Megan hasn't lost interest in that. Santa is also putting a stop to over spending and over indulging. He will only leave two gifts under the tree for Megan. I love, love Christmas and I really hope I haven't come off as a scrooge. *smile* I've felt for several years now that we had lost what Christmas was suppose to be and feel like. I am hopeful that these changes add less stress to the season and bring the joy back into Christmas. 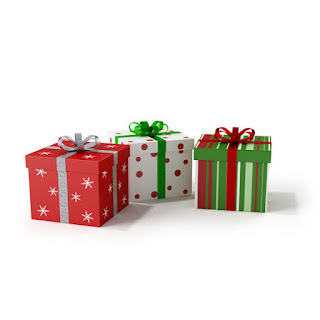 I'd love to hear what you are doing to simplify your busyness and gift giving. How are you are making Christmas less commerical and more Christ honoring?